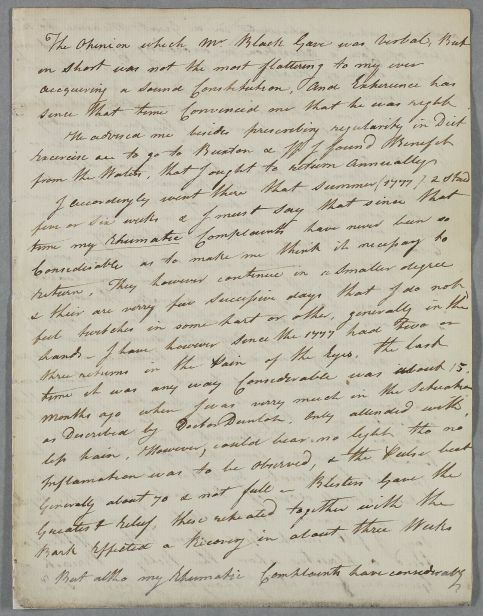 Unsigned letter describing the correspondent's own case. The patient suffers from a recurring rheumatic complaint and a disorder of the eye that renders him unable to bear any light. He had received an opinion from Mr Black, who had advised him to go to Buxton for his rheumatism, from which he felt benefit. The patient also mentions Dr Dunlop, who was involved in the treatment of his eye. 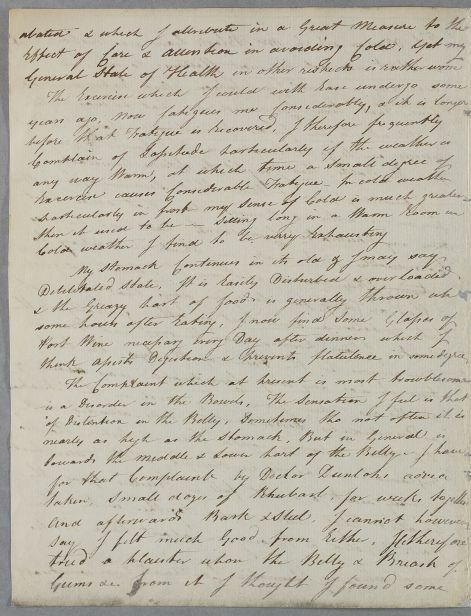 Summary Unsigned letter describing the correspondent's own case. The patient suffers from a recurring rheumatic complaint and a disorder of the eye that renders him unable to bear any light. He had received an opinion from Mr Black, who had advised him to go to Buxton for his rheumatism, from which he felt benefit. The patient also mentions Dr Dunlop, who was involved in the treatment of his eye. 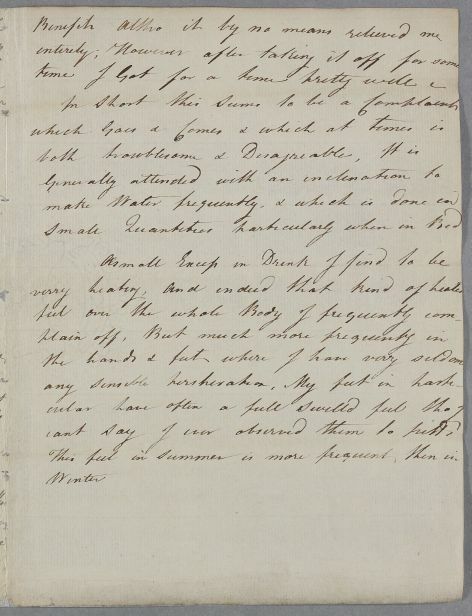 Case of an unnamed male patient who writes of his rheumatic condition and an eye disorder (he has consulted Mr Black and Dr Dunlop).